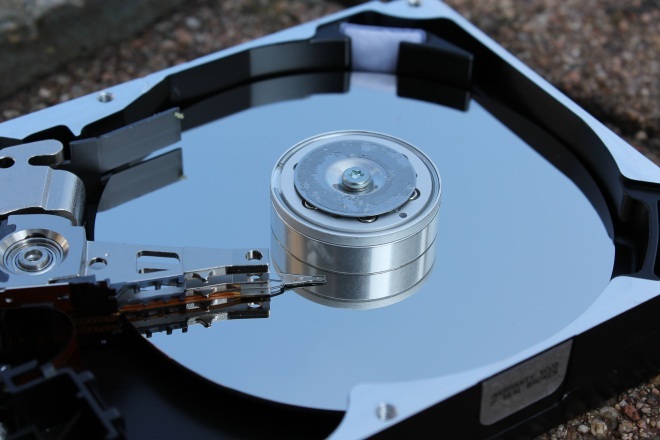 Solid-state drives (SSDs) offer many advantages over hard-disk drives (HDDs): no moving parts, shock-resistant, lower power usage, faster boot-up times, cooler operating temperatures, and overall speed improvements. Ever since they hit the market, however, SSDs have only really been viable as a complementary purchase to HDDs already in your computer. In some cases though, it is becoming possible to buy an SSD with a large enough capacity to cover all your bases: prices are finally falling across the board. As you can see in the chart above, which shows the most common capacities listed on Dealnews, SSD prices have started to take a serious hit in 2012. The chart shows that over the past year, it’s not just 64GB and 128GB flavors that are falling, but even 256GB SSDs are seeing their price tags slashed, and the gap is finally closing. Larger drives specifically have seen the biggest dip since the beginning of the year, in relation to smaller capacities. For instance, at the start of the year in January 2012, the price-per-GB cost of a 256GB SSD was $1.37/GB. By September, that price had dropped 65% to $0.48/GB. Comparatively, this past winter 64GB SSDs were going for $0.86/GB, and today a similarly-sized SSD is a mere $0.47/GB — a 45% drop in price. So, while we are seeing excellent deals across all sizes, higher-capacity drives are finally reaching an equal per-GB price point compared to smaller drives. Although the best 256GB deal checked in at one cent more per GB than the 64GB drive, it’s no longer a drastic premium amongst SSDs for a larger capacity. Thus, with today’s heavy storage needs, it makes sense to get a bigger option. This trend is accelerating likely because SSDs are no longer found in high-end laptops: they’re now present in multiple mainstream devices such as ultrabooks and tablets. In other words, having an SSD is your device is slowly becoming a mainstream idea, as opposed to a luxurious one. While the site points out that the landscape has changed drastically over the past year, I would argue this is just the beginning; the biggest changes are yet to come. SSDs will likely one day be featured as the default option for the majority of computers, but we’re still a few years away from that. The old laptop that I’m typing this article on comes with a 300GB HDD, and it’s almost full. Many low-end computers now come standard with 500GB, 750GB, or even 1TB HDDs. I would argue there’s a point in storage that most people will never surpass (probably 500GB) so once 512GB SSDs hit comparative lows, we’ll see adoption skyrocket. Until then, Dealnews is correct in saying that prices will continue to drop as SSDs become more and more popular in cheap devices.